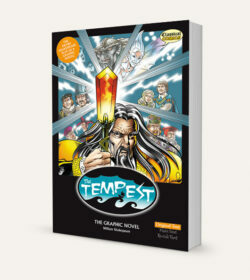 Designed for the classroom, this resource book (spiral bound for easy photocopying) contains activities and exercises to help the teaching of The Tempest. 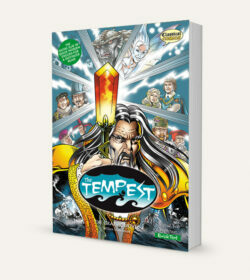 Although it was designed to be used alongside the Classical Comics graphic novels, it can be used with any version of the play. 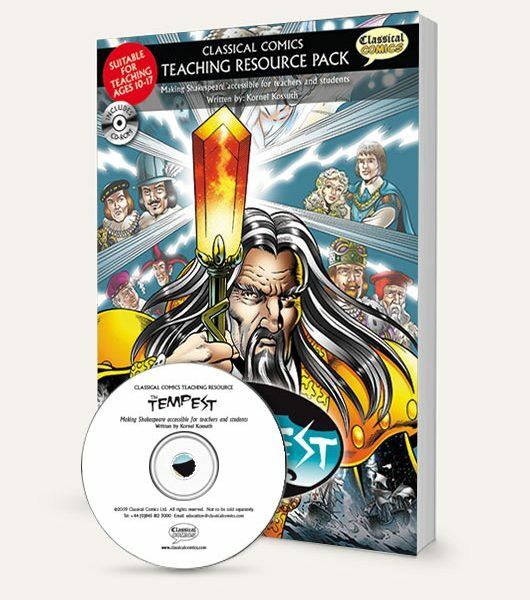 It includes a broad range of topics including: structure, listening, understanding, motivation and character as well as key words, themes and literary techniques. The exercises have been approached from a cross-curriculum perspective so that they cover not only literature and literacy, but also history, technology, drama, reading, speaking, writing and art. The age range is 10 to 17 (Grade 5 and up), but of course within that span exists a broad spectrum of skill levels. 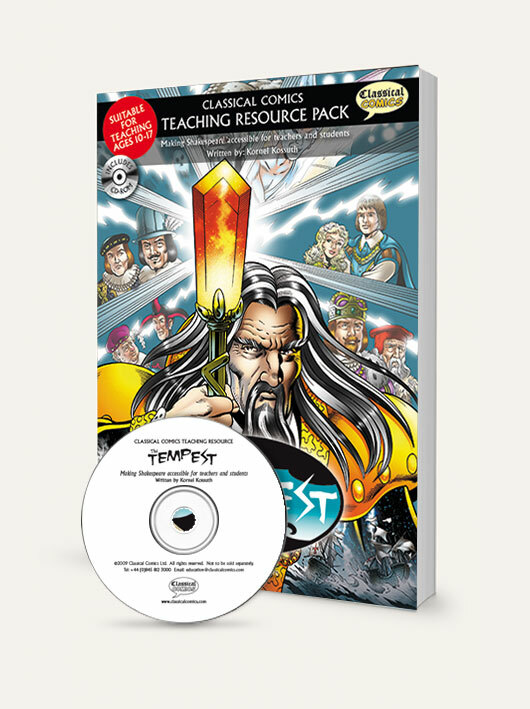 Therefore, this study guide includes activities for all, providing many opportunities for differentiated teaching and for the tailoring of lessons to meet individual needs. A CD is included that contains the pages in PDF format so that they can be used on any whiteboard or local intranet system. 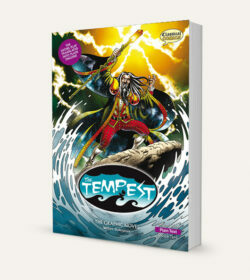 Download a full list of all our current titles available on Classical Comics.